Cities around the globe, powered by swelling urban populations, are changing rapidly. The most common planning response repeated in city after city is urban consolidation. This is another term for concentrating growth and development in existing urban areas which means the delivery of more higher-density housing and mixed-use products. Advocates of urban consolidation present it as a panacea to issues resulting from increasing populations, falling housing affordability and unsustainable urban sprawl. It is clearly a key planning policy in many Australian cities, and its form is evident in each of the capitals. Middle ring activity can be regarded as a response to a different set of drivers from those witnessed in relation to the inner city apartment boom of 2014-16. One of these drivers is employment. At a macro level, this middle ring activity is occurring as new patterns of employment are emerging in Australia’s metropolitan settings. Rapid technological change, an ageing population, consumer preference change and forever increasing levels of global competition and expanding markets for goods and services are influencing the new Australian employment landscape. 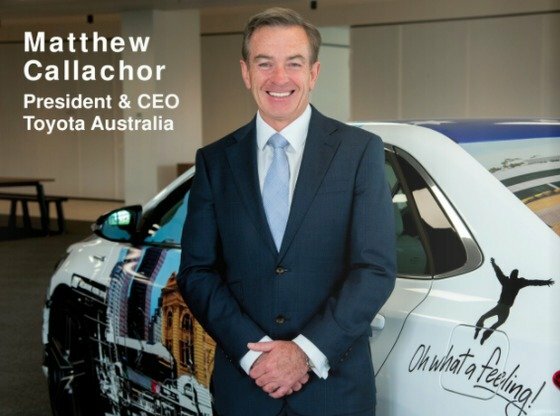 To date, Australia has adapted to globalisation and has evolved into a highly skilled, knowledge based economy where professional services and health care now employ more people than manufacturing. These forces are working in different ways in each capital city. For example, following the GFC, Sydney CBD strengthened its reputation as a financial services industry hub attracting global firms and generating significant employment opportunities. Sydney’s CBD attracts executive roles for the finance sector from a national and international pool of talent. Sydney’s CBD and inner ring have also become a major centre for advanced ICT and software engineering roles. In order to attract the “right” employee services, firms tend to need a large catchment. Meanwhile the central position appeals to employees locational requirements. Melbourne’s CBD has consolidated its reputation as a preferred location for CEO’s, Managing Directors and similar senior executive type roles. Like Sydney, it works as a headquarter destination for international and national firms. Meanwhile Brisbane’s CBD employment in the professional services industry has actually contracted notably in the last three years as a broad swathe of roles connected to the mining investment boom and State government administration disappeared. Better value commercial floorspace opportunities have also become available in the fringe and business park locations as the Brisbane CBD rental profile transitions. Vacancy rates in commercial property markets within Sydney and Melbourne CBDs have recovered post GFC while Brisbane’s has risen sharply to levels not seen since the recession of 1991-92. The point is that a CBD’s role and function are not static. They remain the most intense areas of activity, generally representing the most concentrated white collar employment. In addition to this, they tend to be the focus of cultural, entertainment and leisure opportunities which cater to broader, regional or state populations, not just local population requirements. However it’s interesting to note that most employment is not restricted to our major centres and CBD’s. The majority of employment is actually found beyond the CBD in suburban Australia. One way to understand this is to look at employment in terms of tradeable and non-tradable industries. Generally, for the non-tradeable industries including; utilities, health, education, public administration, retail, real estate and construction, there is no compelling need for firms to be in CBD’s. Examples include health workers (hospitals and medical centres), education professionals (universities and schools) and construction workers and executives (near their development fronts). These roles can be found in middle ring suburban areas. This is not to say that they won’t necessarily locate their office in the centre, it is just that generally there is no overwhelming need to do so. Meanwhile employment in the tradable industries, including; finance and tourism roles linked to external economies may be more aligned with CBD’s. This may reflect the need to have a central, location to accommodate international or domestic headquarters. It may also reflect the need to draw upon a large enough population catchment to satisfactorily fill job role requirements. Tradeable sector jobs are exposed to global forces, international currency movements and international wage competition. This is why manufacturing, agricultural and some mining roles tend to be located more in line with proximity to business’ core function and proximity to available skilled workforces (which requires a population catchment to support employment needs). For many firms, it is about finding a location where the land costs are relatively low to support an internationally competitive price point for their global product. One key reason why the middle ring medium apartment and town house market is receiving so much interest is that it provides accommodation options that reduces journey to work travel times. There are a range of other drivers at work spurring this process on in the middle ring suburbs. So where is this elevated level of activity in the middle ring happening? In Sydney, it’s occurring in places like Parramatta, Macquarie Park and Canterbury. Apartment development is attractive here due to the middle rings lower development site costs when compared with Sydney’s inner ring. This means lower initial up front and holding costs. A lower per apartment land cost provides the ability to offer an affordable or sharper product price point. In Greater Sydney at the 2011 census, 38.6% of the total dwelling stock was attached with 25.8% represented by apartments. Interestingly a good deal of Sydney’s attached dwelling stock is older established apartments. Empty nesters and downsizers who own these older apartments, have the ability to cash out of their existing homes and acquire a newly built 2-3 bedroom product with secure parking. There may be a need pay an additional $175,000 – $250,000 to secure one of these new apartments, however there are many benefits that come with new product including new design and energy saving features. This is a market which is characterised by an increasing representation of owner occupiers, many of whom are local to the area. It is notable that tightened bank criteria on investor lending which was introduced last year, as well as tighter conditions imposed on foreign purchasers appears to be impacting on the broader ownership profile. Just recently however, the commercial banks have again relaxed some of the lending criteria. The general drivers of demand including affordability and people’s employment are also supporting take up of new dwellings in these markets. In Greater Melbourne at the last census, 26.9% of the total dwelling stock was attached with 15.3% represented by apartments. The share of attached dwellings will have risen notably by the time of the next census. Melbourne has an abundance of examples in both middle and inner ring suburbs. Among the list is the eastern suburb of Doncaster and in Moreland (LGA) in the north including suburbs of Coburg and Brunswick. Amenity, lifestyle, presence of shops, European influences and good city access are some of the reasons supporting demand here. In the northwest, Moonee Valley (LGA), including Moonee Ponds renewal is well underway. 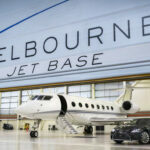 Much of this dwelling product is geared towards families with close connections to the airport, DFO and inner-west/Airport West/Essendon Fields. In Yarra (LGA) medium density residential development is occurring in the suburbs of Richmond, South Yarra and Alphington. Much demand is being sourced from young singles and professionals and upper-income earners. The location’s attributes include being close to MCG, Yarra River, South Yarra and shops (such as Chapel St) are also key factors supporting demand. 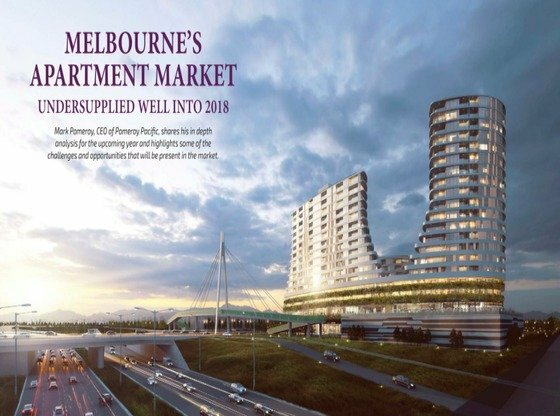 In Maribyrnong (LGA) the suburbs of Footscray and Sunshine are featuring an increasing number of medium to high density projects catering to a mix of families, migrants, younger people and first home buyers all of whom would benefit from good access to major retail. 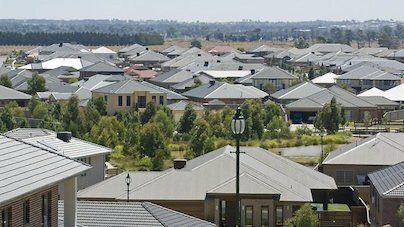 Other suburbs include Preston, Clifton Hill as well as Kingston (LGA) to name a few. In Queensland, one of the State Government’s key planning documents is the South East Queensland Regional Plan. In the current Plan, an additional 156,000 additional dwellings were projected to be developed in Brisbane between 2006 and 2031. The Plan set a goal of achieving almost 90% of these dwelling to be located within existing boundaries. In Greater Brisbane at the last census, 20.5% of the total dwelling stock was attached with 11.7% represented by apartments. Like Sydney and Melbourne, Brisbane’s share of attached stock will have risen significantly by the time the 2016 census occurs. In Brisbane’s middle ring there are now towers recently built or under construction in suburbs such as Nundah, Mount Gravatt, Everton Park, Greenslopes and Chermside. Dwelling approval activity is steadily increasing as this type of product is targeting owners and investors seeking an affordable price point, with demand for occupancy driven by proximity to major transport infrastructure in the form of highways, busways, rail stations, secure parking, access to major retail and employment. The pace of apartment and unit development projects is delivering unprecedented volumes and new stock into Brisbane’s middle ring suburban markets. MacroPlan’s national team actively monitor property development trends. The diagram below is an example of the tracking of ‘multiple dwelling’ applications in Brisbane City. We call it our DA Tracker. Multiple dwellings under the Brisbane City Plan 2014 include apartments, flats, units, townhouses and row housing, but exclude duplexes. The snapshot shows the volume of applications submitted to council for approval. The spatial distribution of applications provides valuable insight as to where sites are being identified for development, even if those sites are for small-medium size developments, as land in Brisbane is increasingly scarce. The map below highlights these multiple dwelling ‘hot spots’ for the past 11 months. In the current financial year-to-date Nundah is leading the way followed by the inner-city areas of South Brisbane and West End, however a number of applications have occurred in the middle-ring, approximately 5-8km from Brisbane CBD. There are a number of reasons for this including supportive zoning around major activity centres such as Chermside and Garden City, as well as a greater availability of sites for development. This middle-ring trend extends over several years, including a large spike in June 2014. In summary, the factors driving this middle ring activity are varied and work in different ways in different areas. As globalisation impacts the outlook for tradeable sector jobs, there are regional level changes such as; the shifting nature of employment, demographic change, downsizing, moderately lower development site costs, the attraction of affordability, secure car parking, the desire for amenity and access to shops and public transport, also having a big impact. These forces work to create conditions that are altering how we choose to live, work and play in the suburban middle ring of Australia. These higher density outcomes also represent the chance to reinvigorate our suburban centres, some of which are in need of renewal or reinvention. In many of these middle ring suburbs MacroPlan have been assisting clients with the development approval process, undertaking research and analysis and preparation of planning approval documents and advocacy. If you are interested in property analytics, site identification, our DA Tracker or want to know more about the middle ring of any of capital city, contact MacroPlan on 02 9221 5211 or email info@macroplan.com.au.